Kristen Johnson* loved her home, her family, and their active lifestyle. She’d never want to change a thing — except for her foyer and adjoining dining room. When she and her husband first moved into their home, they had intended to refinish the hardwood floors in those areas in a darker stain to better fit their style, but life got in the way. 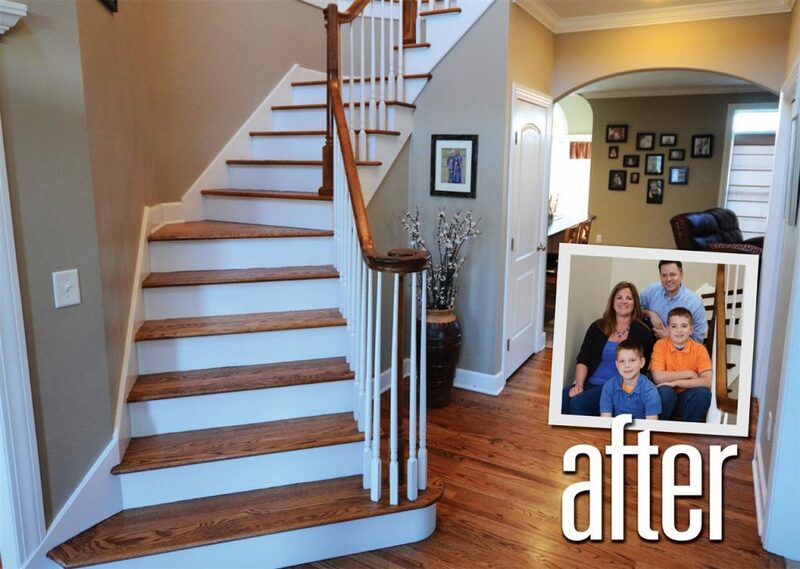 Twelve years, two boys and countless birthday parties, pets and indoor soccer games later, their floors were covered in scuffs, scratches, and stains, and some of their walls needed repair. To complicate matters even further, they had a wraparound staircase with a wood-tone banister that would also need to be refinished if they decided to change their floor.